Finding an ideal location is the most crucial part of building your dream retirement. Some people would not trade the bustle in the city for anything else, but a growing number of retirees are moving farther away from the noise to more peaceful settings. If you haven’t decided on a location to retire to yet, allow us to share with you some of the many reasons to choose a lakefront community. A lakefront community’s appeal is hard to ignore. Lush meadows, quiet coves, quaint towns, rolling woodlands, great water climate, and private access to a vibrant ecosystem complete an enviable lifestyle for those wanting to “slow down.” Quite a number of lakeside communities are located near or within wildlife preserves or protected land. And with wooded parcels and a calm lake surrounding your home, nothing separates you from scenic views and relaxing soundscapes. Lakefront living doesn’t always equate to rustic living. Despite lakefront settings being tranquil and hidden, current developments provide unprecedented access to amenities comparable to those enjoyed in cities. Well-planned communities now come with world-class health care, dining, shopping, and entertainment venues, as well as golf courses and full-service marinas. There are also clubhouses and docking options for those who wish to own boats, but don’t have direct access to the water. Owning a lakefront property offers limitless opportunities that will satisfy your adventurous spirit. It’s an endless source of recreational activities. You can camp out or enjoy a picnic under a canopy of trees,go fishing in a boat or off the dock, or simply lounge in your patio while soaking in the view. Joining sporting clubs is also one way to enjoy an outdoor lifestyle while remaining social. If you ever run out of ideas, you can just head to town and soak in local art, culture, and cuisine, or have your children and grandchildren come over for a summer getaway. Contrary to popular belief, lakefront property ownership is an attainable dream. In Bayfield, Wisconsin, for example, waterfront acreage is affordable and median house prices remain lower than its neighbors. And with over 371 lakes in the county to choose from, finding a slice of paradise that satisfies your budget and needs is not too far-fetched. With a little patience, plenty of research, and help from a trusted local real estate agent, your dream retirement will certainly materialize. 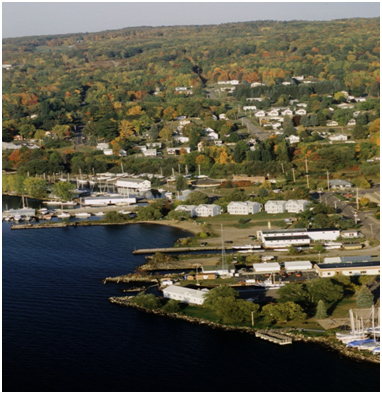 Bayfield’s rolling lake country and scenic beaches are great for families and retirees seeking natural beauty and a relaxed way of life. And with so much going in the community and nearby towns year-round, your lakefront home is both a holiday destination and a place to retire. The quality of life available in lakefront communities is truly rare, but achievable for retirees of varying incomes. Local government agencies and lake organizations also provide financial incentives for waterfront property owners who will take part in shoreline restoration initiatives. Whether it’s a modest or luxurious retirement you’re dreaming of, lake areas can accommodate your specific needs. Let our agents help you find your slice of paradise in Bayfield, WI. Get in touch with us today.